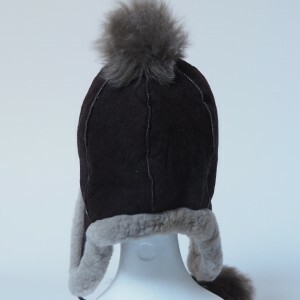 Alpaca/suede trapper hat with alpaca inside and around the edges and suede for the top. 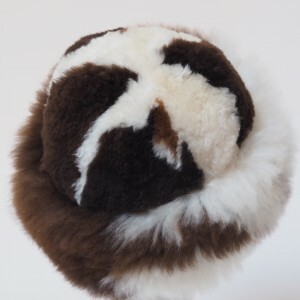 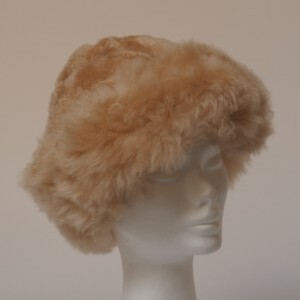 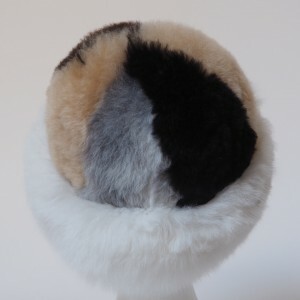 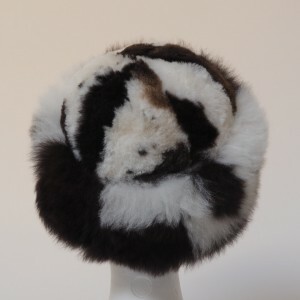 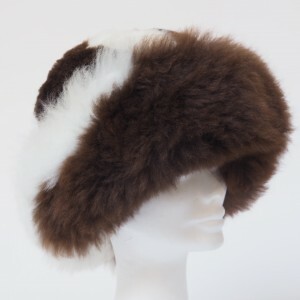 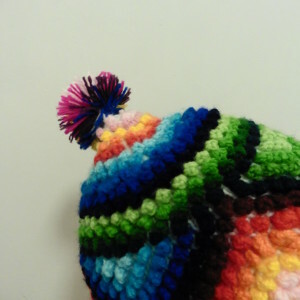 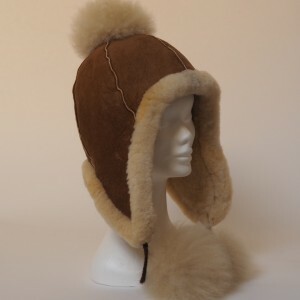 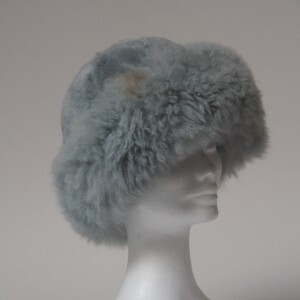 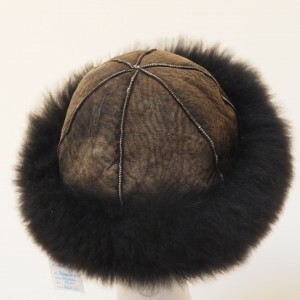 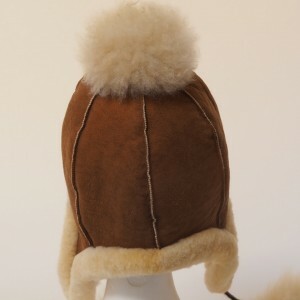 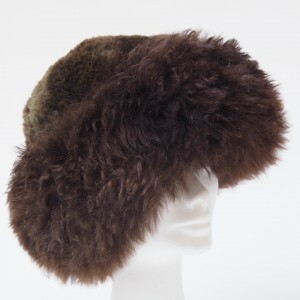 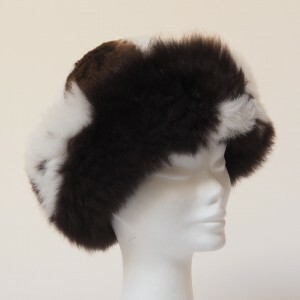 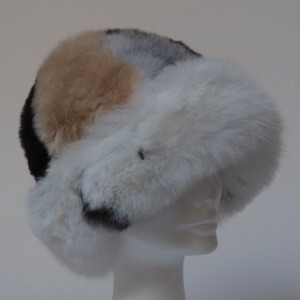 This hat also has 2 alpaca pom pom’s that can be tied or just left to dangle in a lovely medium brown and cream. 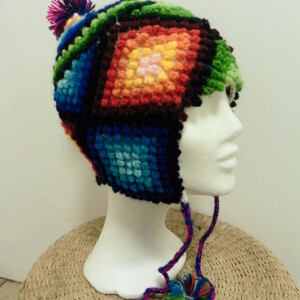 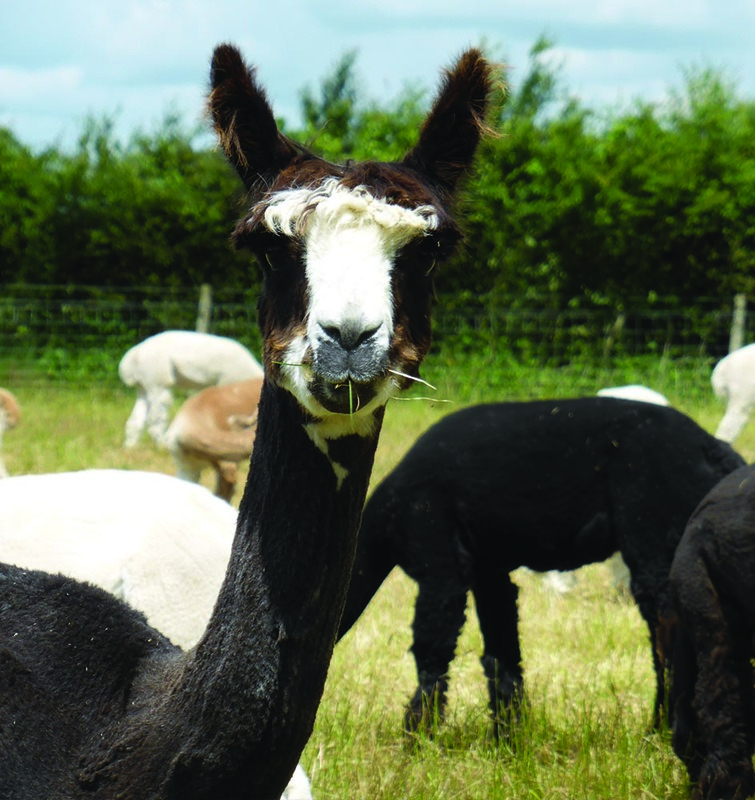 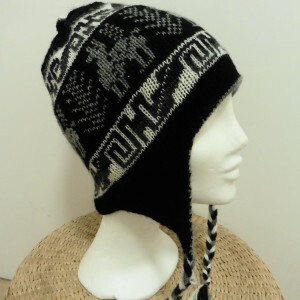 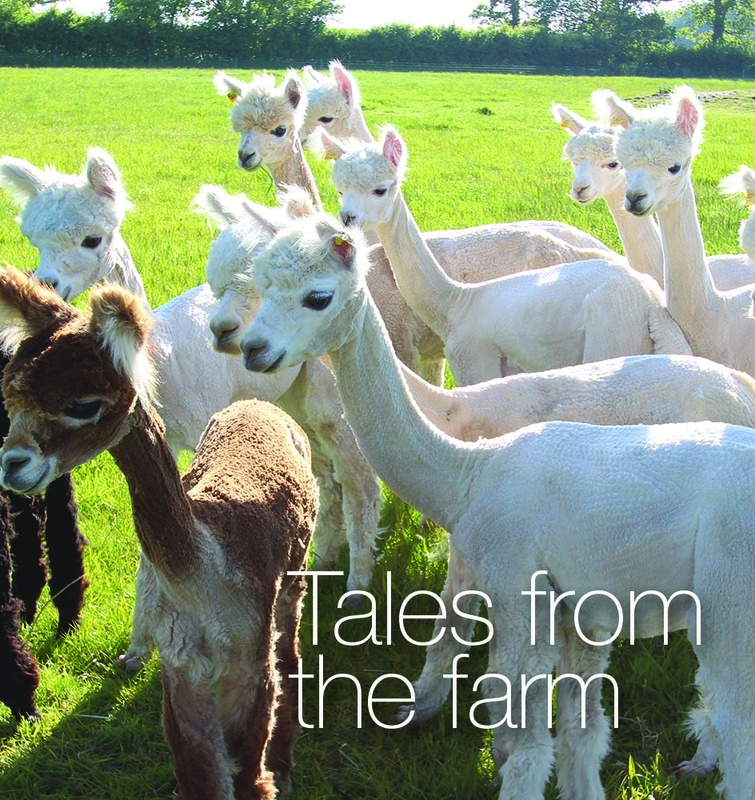 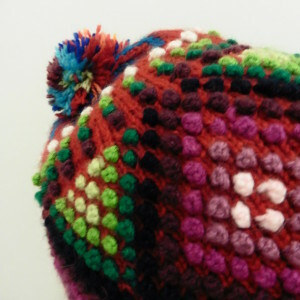 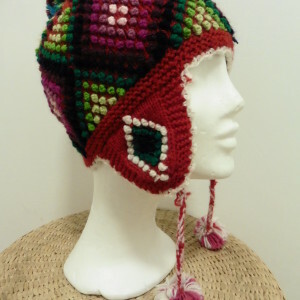 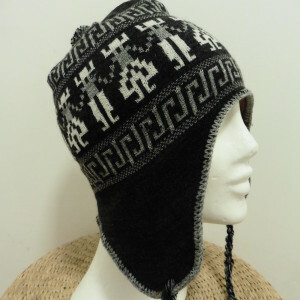 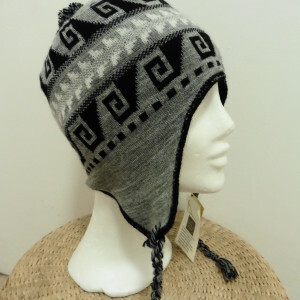 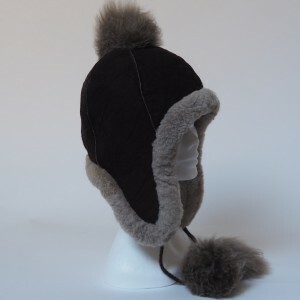 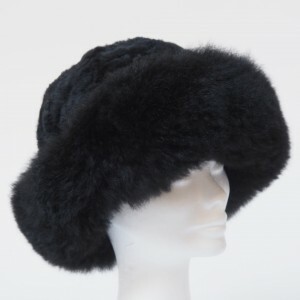 Alpaca/wool chullo hat is knitted from undeniably soft, alpaca & wool fiber. 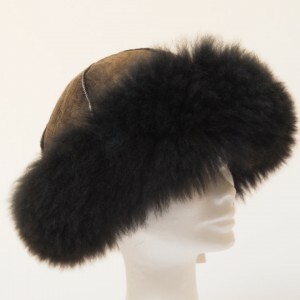 This classic chullo epitomizes the finest in cold-weather luxury accessories. 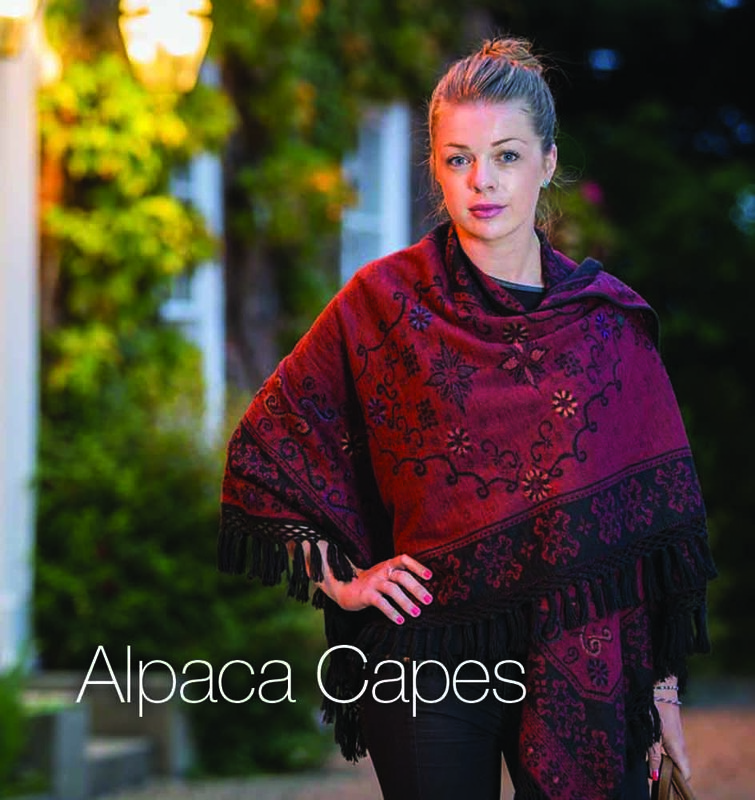 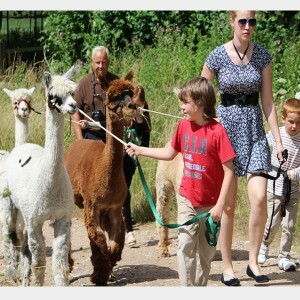 Tie tassels to go around the neck.